Government energy regulator Ofgem has announced an investigation into "potentially misleading" marketing by Scottish Power. Scottish Power came under fire recently for raising gas prices by 19% and electricity by 10%. It blamed a 30% rise in wholesale energy costs for the hike. When announcing the rises, Scottish Power highlighted its Direct October 2012 offer, which claimed to save consumers Â£459 by providing cheap gas and electricity. Now Ofgem says it is investigating this claim under the Enterprise Act. The investigation does not mean Scottish Power has breached regulations. But Ofgem says it wants to ensure that the firm did not mislead consumers in the small print of the offer. Scottish Power is also under investigation, along with three other suppliers, over potential mis-selling of energy to customers. 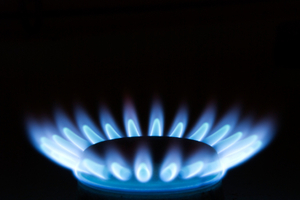 Ofgem has also announced it is pressing ahead with 'sweeping reforms' to energy tariffs, working with the Big Six energy suppliers to simply energy bills for customers.